Today, we’re going to talk about the best way to cook this thing of beauty and—you may want to sit down—I don’t recommend grilling it. Wait… did I just say I don’t recommend grilling something? I’ll punish myself later. OK, first things first—let’s start with the prep. I always recommend taking a steak out of the fridge for an hour or so before cooking it. By bringing the steak up to room temperature you’re creating the best possible scenario for it to cook evenly. If the center of the steak is refrigerator temperature when it hits the cooking surface, you’re at high risk of having an overcooked outside and undercooked (cold, even) inside of the steak. This is ESPECIALLY important with a thinner cut steak, but inconsistent temperature problems are amplified with wagyu because of the fat content. That fat needs to render in order to get the best possible flavors; so, getting it up to temperature, without overcooking it, is paramount with a wagyu steak. I don’t recommend wagyu to be cooked beyond medium rare. I know that makes cooking this expensive protein sound scary. Not to worry though, the process is super simple. Notice the lack of seasoning here, that’s not unintentional. So relax, I’ll walk you through the process. OK, we ready to get cookin’? As much as I’m a fan of the reverse sear method for steaks and other thicker-cut proteins, I don’t use it for Wagyu. I don’t recommend it for a couple of reasons. First, because of the abundance of intermuscular fat we talked about in wagyu, these steaks are very prone to flare-ups when placed over an open flame that’s traditionally used during reverse sear to achieve the crust we all love due to the Maillard reaction. 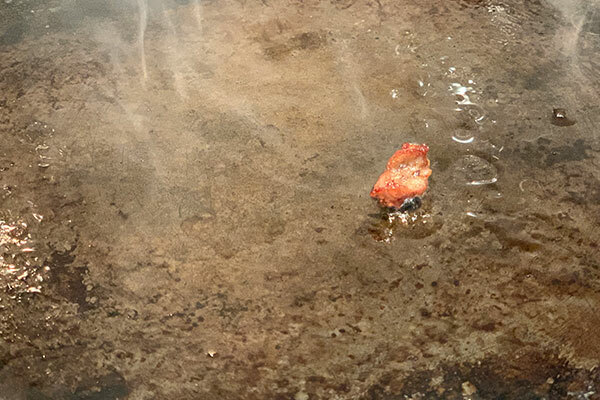 Those flare-ups are caused by the fat dripping onto the flames and you don’t want to lose any of that amazing wagyu beef fat flavor to your fire. Instead, you want your steak to cook in its own rendered fat. 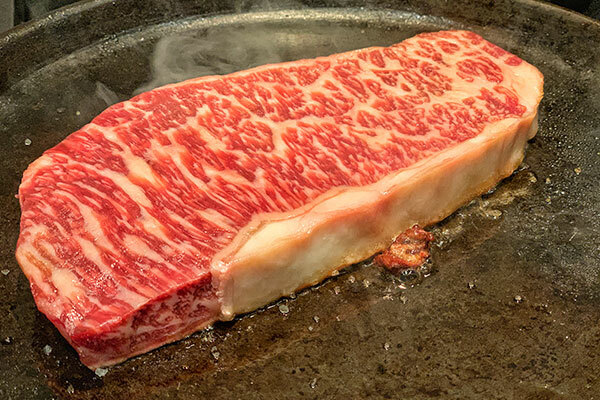 So, for wagyu I recommend the hot and fast method of cooking, and I recommend that to take place on a cast iron surface so that the beef cooks in its own rich rendered fat. 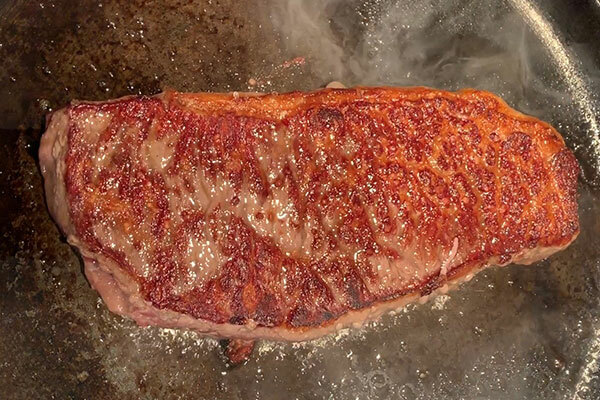 TIP: Wagyu also cooks nicely on a hot salt stone if you have one. 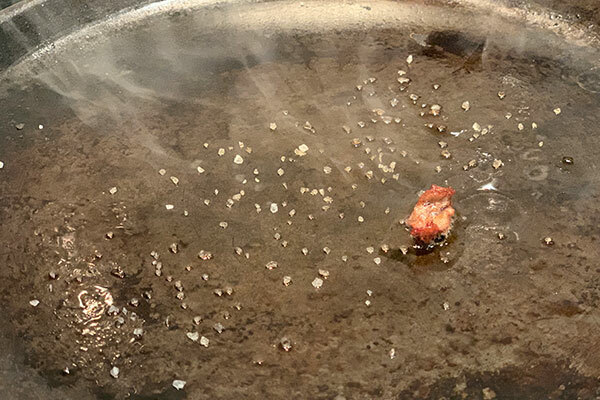 If you do this method, don’t season with salt like I recommend for cast iron cooking. 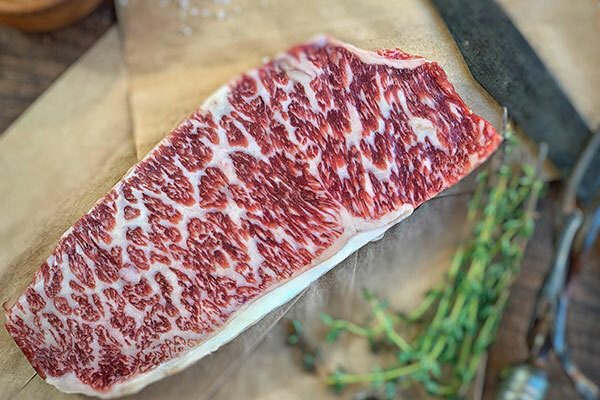 Next, because the reverse sear method is best suited for thicker cuts of meat, it wouldn’t be recommended for a wagyu steak which is generally cut to about 3/4″ thick. That’s about the perfect thickness for this grade of beef, not only because its flavor is so rich, but also because of the cost. 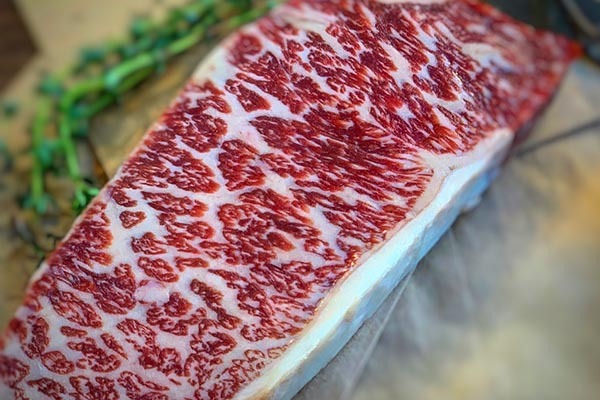 If you’re reading this blog you’re likely considering buying some wagyu so you’re aware of the price point on this highly sought after cut of beef—imagine what a 2-inch thick piece of this deliciousness would do to your 401K. All that said, here’s the perfect and very simple way to cook your wagyu beef. Step 1: Light your grill and set up for direct medium-high heat. I know, you’re thinking “you said you didn’t recommend grilling this cut” I know I said that, and it’s true—mostly. I don’t recommend putting the steak over the flame directly on the grill, but I do love to cook with cast iron on the grill. Can this be done on the stove top? Absolutely, but that brings drawbacks; namely the mess it will create due to the fat popping all over your stove. Add to that, your house is going to smell like cooked beef for a day or so. Wait, the more I think about it, the later may be a plus. Anyway, you know me well enough by now to know that I just love to cook outside, so fire up the grill if you can! Step 2: Over the direct medium high heat, place your cast iron pan or griddle, and let it come up to temperature. 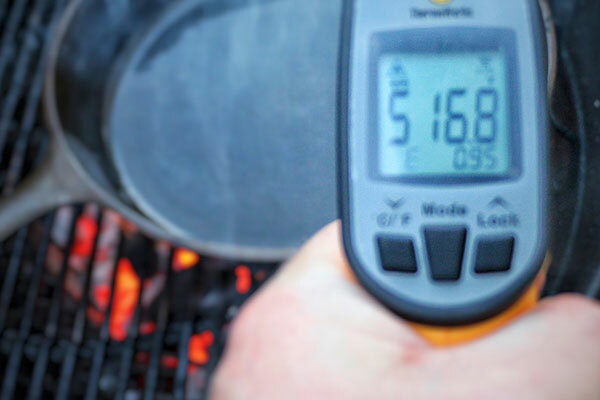 If you have an infrared thermometer (I recommend one of these for a number of reasons) check your pan’s surface temperature and look for it to get to about 550°F. Step 3: To the hot pan, add a small piece of the beef fat trimmed from the steak. Let that fat render for 30 seconds or so in order to create a nice oily surface. No need for butter or oil here, use the beef fat for the best unadulterated wagyu flavors. Step 4: To the hot rendered beef fat, add a pinch of sea salt and lay your steak on top of it. Once you place it in the pan, resist the urge to move it. Start your timer and let it cook 2 minutes. Step 5: Flip steak and cook 2 more minutes, remove from heat. Step 6: Let rest for 5 minutes before slicing. Add another pinch of salt to taste (if needed) and serve.